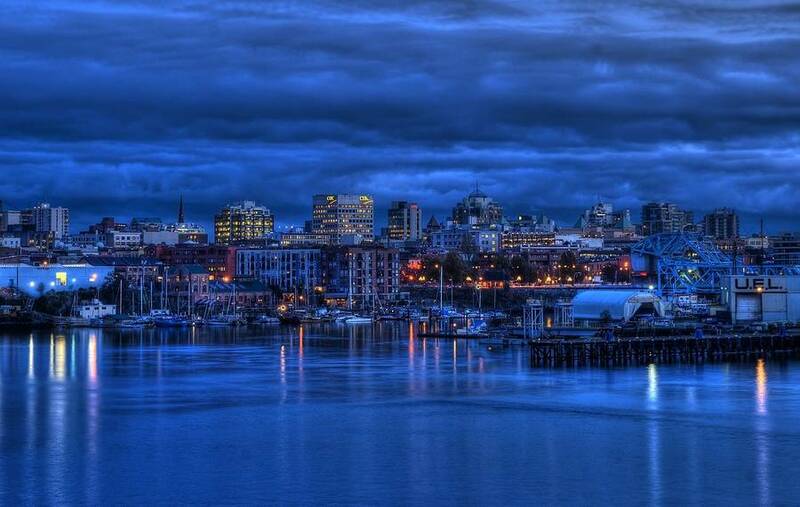 Victoria is the capital city of British Columbia, Canada with a population of almost 80,000 people. In August 2016, the city set a target of reaching 100% renewable energy across sectors by 2050 as part of its strategy to reduce greenhouse gas emissions (GHG) 80% by the same date. According to the city's Climate Action Plan Update and Way Forward, in 2007, the city set forth an initial corporate and community greenhouse gas reduction target of 33% by 2020, with actions to back it up including waste management improvements, building assessments, fleet upgrades, active transportation programs, and adaptation initiatives. The report states that the Victoria's building sector emits 48% of the city's GHG, with transportation accounting for 40% (not including aviation), and solid waste 12%. The report also acknowledges that key challenges are lack of information, growing emissions on the provincial and national levels, and population growth. City operations alone account for only 1% of Victoria's emissions and declined 6% between 2012 and 2016, due to milder winters, local utility adjustments, and facility improvements, with more improvements expected from fleet improvements. Among city staff's recommendations at the early stage of planning have been to set up a series of Council workshops, a staff Climate Action Task Force to define expectations and build strategy, and an action plan that covers priority actions and programs, as well as plans for governance and documentation, resources, and stakeholder communication, education and engagement. Staff also acknowledged at the outset the need for flexibility to handle uncertainties and that while the city' influence is limited, it has several factors going for it, including a compact layout, mild climate, and terrain. As for the reason behind adopting a 100% renewable energy target along with its GHG target, staff cited wrote: "100% renewables is a target the public can easily get behind."